Learn everything you need to know on pralines and chocolate decorations from STÄDTER experts. 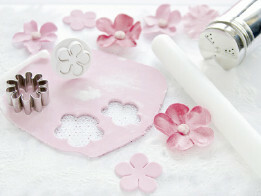 Indispensable for decorating and embellishing gateaux and tortes: Our exquisite rolled and decorative fondants! From wholemeal bread to baguettes: Homemade bread and bread rolls just taste best – and are guaranteed to succeed with bread pans made by STÄDTER! Make fresh ravioli and pasta specialities yourself – it’s easy!